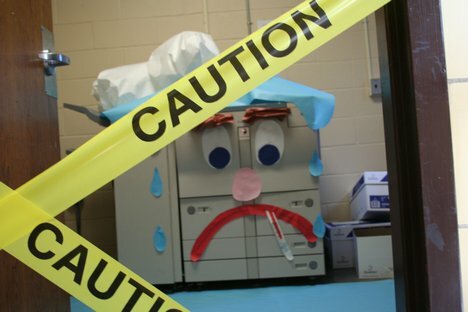 Office Copier Needed – Can you help? Partner with the Catholic Pro-Life Committee to help save lives through daily prayers for our work and by donating here, or visit prolifedallas.org/donations. Thank you! 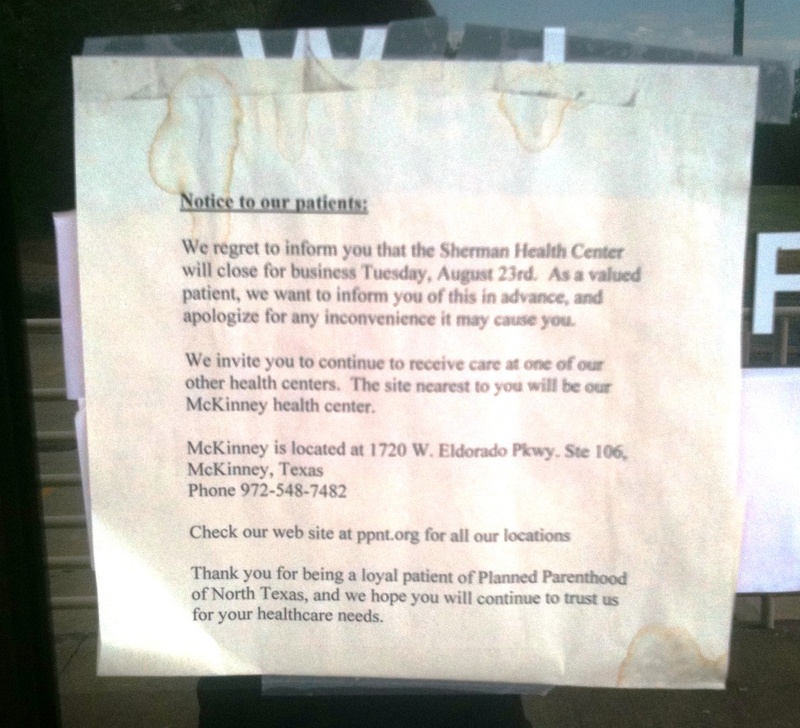 The Sherman Planned Parenthood officially closed its doors this week! David Bereit, founder and National Director of 40 Days for Life, is joining in the Planned Parenthood closing celebration this Sunday! Plus the former manager of this Planned Parenthood will share why she left before the doors closed and what Planned Parenthood's real agenda is. All are welcome! And there's more . . . David's coming to Dinner in Dallas on Saturday!! David, the man behind the international phenomenon of 40 Days for Life, is joining us for dinner this Saturday, August 27 to share an inspiring message and support the upcoming Dallas campaign beginning September 28. For $40 ($70 per couple), you can help support our local 40 Days campaign to stand vigil, pray and reach out to the community to end abortion in our city! Click here to reserve one of the few remaining dinner tickets now. When: Saturday, August 27, 7:30 p.m. - 9:00 p.m.
Dallas Kickoff Rally, September 27, 6:30 p.m., Harry Moss Park, featuring the powerful pro-life testimony of the former manager of the now-closed Sherman Planned Parenthood! Read 40 Days for Life-Dallas News Release: "Planned Parenthood Closes . . . Former Manager Speaks Out"
Date: Saturday, Sept. 17 Learn strategies on how to start and grow a pro-life youth club or group, hear ideas for campus activities, make plans for the school year, and sign up for ongoing one-on-one strategy meetings throughout the year. All students and moderators who want to start or grow a youth pro-life club are invited to this half-day training. Admission is FREE. Date: Tuesday, October 11 Join us for our 11th Annual CPLC Golf Classic/Bishop's Cup. Registration and lunch begin at 11:00 a.m, followed by the putting contest at 11:30 and tee-off at 12:30. To participate in this great annual event, register individually or as a foursome here. Time: Tee-off at 12:30 p.m.
October 8: Audubon Park in Garland, Erwin Park in McKinney, Sacred Heart Church in Rowlett, Kiest Park in Oak Cliff Bilingual Hike! Registration and Opening Ceremony: 8:30 a.m. Hike: 8:40 a.m., followed by refreshments, 9:30 - 11:30 a.m.
A new study provides more good news for pro-life advocates, as it shows fewer doctors are willing to perform abortions than before — creating a situation where the lower availability of abortion may be helping to reduce abortions. The new report, published [this week] in the journal Obstetrics and Gynecology, finds 97 percent of physicians surveyed say they have encountered patients wanting an abortion while only 14 percent of doctors are willing to do an abortion. That’s lower than the 22 percent of doctors who said they would do an abortion in the last poll, from 2008. I can’t count the amount of times I’ve been asked what my stance is on contraception. It’s not breaking news that many oral contraceptives and some invasive barrier methods (IUD) have been proven to cause abortion, including the highly controversial ella and Plan B drugs, and I stand firmly against the use of anything that destroys a life created at conception. But what about contraception that prevents conception from taking place? What do you say? What’s the pragmatic response* here? 1) Birth Control, no matter what form, doesn’t prevent abortions. In fact, it provides a false sense of security. . . .
2) Birth control comes with its own complications and risks. In some cases, it’s deadly for both the child and mother. . . .
3) Condoms and birth control are everywhere. You can obtain them for free, yet the abortion and STD rate hasn’t fallen. . . .
*Editor's note: This article provides secular arguments supporting the foundational truth that we know as Catholics – that artificial contraception "harms true love and denies the sovereign role of God in the transmission of human life." (Vademecum for Confessors 2:4) Couples can responsibly welcome children in accord with Catholic teaching through natural family planning. Learn more here. The CPLC office copier has served us well, but has seen its last day and is beyond cost-efficient repair. To best meet our ministries’ needs, we need to replace it with a free-standing office copier of similar capabilities, including an automatic document feeder, multiple trays/drawers and the capacity for duplex printing and copying originals of various sizes. A digital copier with scanning capabilities would be a plus!